I have been falling all the way down a Vine compilation rabbit hole, you guys. It's been making me think of the Oscar Wilde quote and how people can tell all of these stories in just six seconds. And what that means for people who want to tell feature-length stories. The first time I watched through the first video, I started literally crying from laughter. And then I went to YouTube and started finding others like the second. And there's a certain point where I already have knowledge that some of those videos relied on. Whether it was some of the basics of the New Testament, or what the theme from The X-Files means, the humor relied on a shared cultural knowledge that the story didn't have to set up, only reference. And, granted, some Vines are funny because of the same thing that makes America's Funniest Home Videos funny - it's people failing to do relatively basic things in an extreme way, which isn't always useful for storytelling. But, like, if people can tell stories that good in only six seconds, how the hell does anyone ever expand stories into, like, an hour and a half movie?? Well, there's setting up information. A feature length film can't just used the Grand Theft Auto "wasted" screen, it has to have scenes that set up what it means, and why it's bad. So I guess there's exposition. And you typically tell a more complex story in a feature, one with subplots, which doesn't really fit into a Vine. So there's that. I just can't help thinking, though, that writing a feature is more like writing a bajillion features, cutting them all down to their core, and then finding convenient ways to stick them together into the semblance of a larger story. Bridesmaids, for instance. (Spoilers ahead? Kinda?) It's about a girl who is the Maid of Honor at her best friend's wedding. But it's also about her falling in love with a guy. And it's also about her falling out of love with another guy. And it's about her repairing her relationship with her best friend. And it's about her sabotaging her "competition" for her best friend. And it's about her becoming friends with that other girl. And it's about all of them going to Las Vegas. And it's about all of them getting on a plane to go to Las Vegas. And it's about all of them being able to afford nice flights on the plane to Las Vegas except for her. And it's about how she gets sick on flights. And it's about what a sick, nervous, jealous person does while on a flight. And it's about how a sick, nervous, jealous person on a flight tries to get into first class. Et cetera. Each of those are full stories on their own, and they get combined in such a way that they tell the story of Bridesmaids. I haven't even gone into the scenes with trying on dresses, or the wedding itself, or the bridal shower, or most of the movie. It's probably not exactly revolutionary that every story can be broken up into smaller stories. 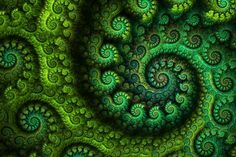 An acting teacher once described analyzing a script as being like looking at a fractal pattern. You can analyze the design, but if you start to look at any one particular piece of it, then you'll see the same complete design. I'm just astounded by how good these Viners are at telling their stories in the short form. And, like, imagine if we got a bunch of them together to tell a feature length story. I also can't help but realize how ridiculous it is that I've gone on for this long about the virtues of the short form. This is probs how most of the bad feature length projects happen.